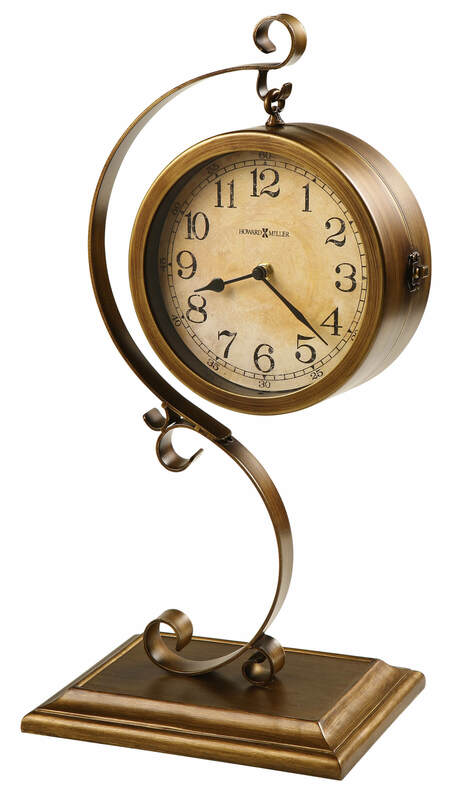 Two-sided sofa table clock, finished in antique brushed brass, is suspended from a bent metal scroll stand that sits on a cast base. The aged parchment dial features a black Arabic numerals, black hour and minute hands and a glass crystal. You will save $66.60 (30 %) on this Howard Miller Jenkins 635-155.